Begin by combining the peanut butter, butter, and honey into a small pot. Heat on low until everything is melted; this will make it much easier to mix all of the ingredients together. 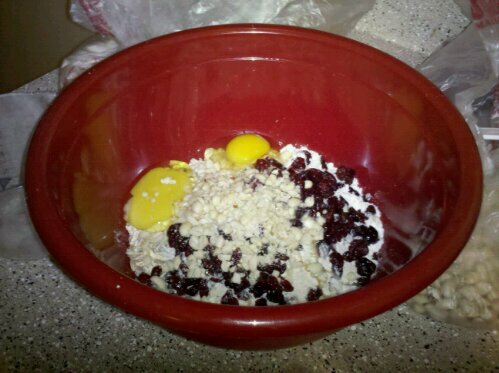 At the same time measure the rest of your ingredients into a large mixing bowl. 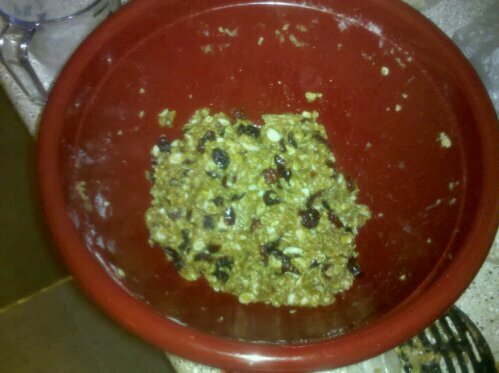 Feel free to substitute the cranberries and peanuts for any other fruit and/or nuts that you prefer. At this time you should begin to preheat your oven to 325 degrees. When the butter mix is melted, with no remaining chunks of peanut butter, add it to the mixing bowl and stir thoroughly. After you finish combining the ingredients and they mold into a large sticky ball, you will need to flatten it out, about 1/2 inch thick, onto a large greased cookie sheet. Bake at 325 degrees for anywhere from 10 to 30 minutes depending on how soft you would like bars. 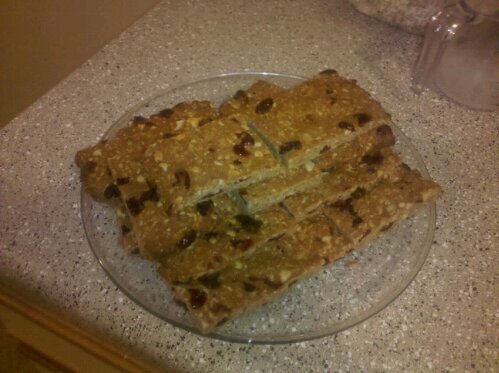 Yesterday I baked the bars for 30 minutes resulting in a crunchy bar, much like the Nature Valley granola bars. 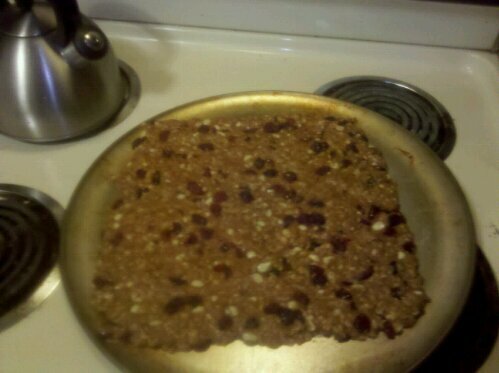 Today’s batch, baked for 20 minutes, are much softer similar to an oatmeal cookie. 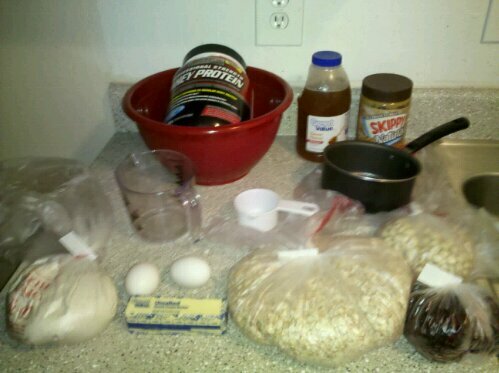 The next round I will bake for only 10 minutes, expecting a result much like the Cliff Bars. After cutting it into 16 pieces each bar has approximately 240 Calories, 10 grams of fat, 23 grams of carbohydrate, and 7 grams of protein. With that many calories I wouldn’t suggest eating this as a regular snack, but if you need an energy boost before a workout this carb filled snack is sure to wake you up.